Built by Cistercian Monks in 1147 and dissolved in 1538. Today the ruins are in the care of English Heritage. Set in a valley landscaped by 'Capability' Brown in the 18th century, its most striking feature is the eastern end of its church, which was built in the Gothic style of around 1170. The story of the pillaging of Roche, recorded by the son of an eyewitness, is among the most vivid documents of the Dissolution of the Monasteries, and details what the local community did with its possessions, as well as details of its destruction and valuable artefacts, timber, lead and stone were removed and it was left as a ruin. Its ownership passed through many hands until it was acquired by the 4th Earl of Scarborough who decided it needed revitalising and adjoining to his seat and Sandbeck Park. However he enlisted the help of Capability Brown who demolished buildings, built large earth mounds and turfed the whole site, for it to no longer be seen. Until that is the late 19th century and subsequent excavations in the 1920's when it was uncovered to what you see today. 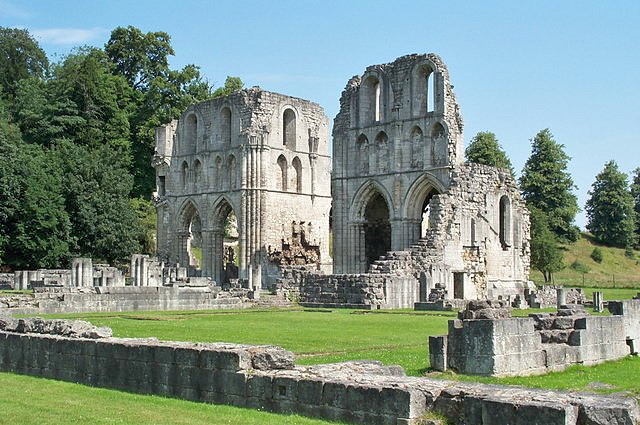 It has one of the most complete ground plans of any English Cistercian monastery, laid out as excavated foundations, and this can be best seen from the cliff path walk which provides access to a view across the abbey grounds where its layout can be appreciated. What is left for you to view and photograph today is the low-standing outline walls and the walls of the church still standing to full height displaying the gothic French idealism of its design and architecture. Later additions to the buildings included a kitchen area and abbot's quarters, that were built on the other side of the beck. These quarters were accessed by a bridge which still stands. The monks had latrines which were over Maltby Beck so the running water took away the waste. They dammed the stream higher up to ensure fast flowing water, quite a modern facility for the 13th century. As well of course as the Abbey House. Access: Access to abbey and grounds: access to main part of ruins over smooth grass and to south side of stream via grass slope. Parking 250m from admissions on a rough path.